All are welcome to the 2018 Northern Cherokee Nation Powwow and Cultural Gathering on September 14-16, 2018 at the Northern Cherokee Nation Tribal Complex in Clinton, Missouri. Come join in and learn more about the traditions and history of your local Cherokee tribe. Open to the Public. 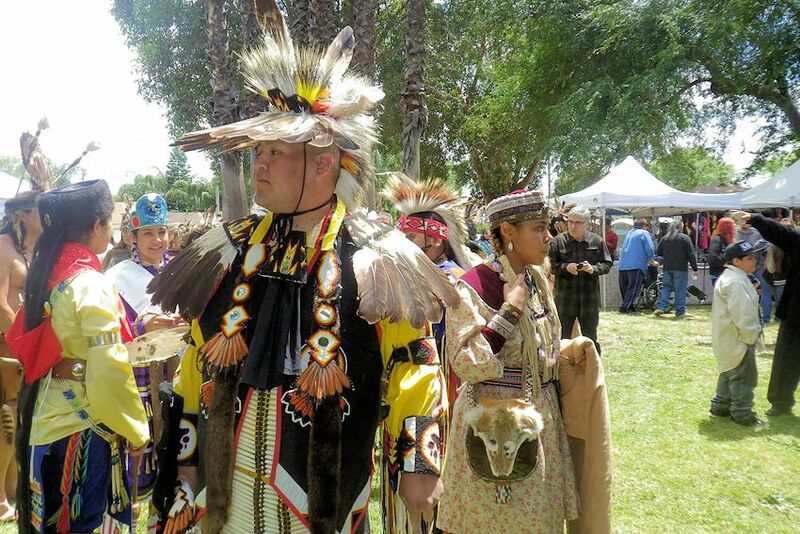 Native American speakers and vendors, drawings, favorite foods such as Indian Tacos and fry bread and many dancers and artists. Plan to come on Saturday for the big auction with all kinds of treasures that you’ll want! The Northern Cherokee Nation Powwow and Cultural Gathering, scheduled for Friday through Sunday, is free of charge and open to the public. Held at the Northern Cherokee Nation’s Tribal Complex located five miles east of Clinton, Missouri, on Highway 7, the event will feature Native American dancers, artists, and numerous vendors with Native American exhibitions. Bring your lawn chairs and enjoy the entertainment! The Northern Cherokee Nation Powwow Grand Entry is scheduled to take place on Saturday at 2 p.m. An auction, with donated items is scheduled for earlier on Saturday beginning at 10:30 a.m. (times are tentative). Those wishing to contribute items for the auction are welcome to bring them to the Tribal Complex on Friday evening and Saturday morning of the Pow Wow weekend. All proceeds from the auction will go to benefit projects for the Northern Cherokee Nation. Indian tacos, fry bread, soft drinks, and many other food items will be available from food vendors during the Pow Wow weekend. The Northern Cherokee Nation Powwow and Cultural Gathering Planning Committee expresses appreciation for all who have contributed to the planning of the weekend, and invite all to come enjoy the celebration and Native American xperience. Animals must be on a leash at all times. NO ALCOHOL! Not responsible for accidents or injuries or persons or property. No firearms allowed on property. Mark your calendar today so you don’t miss the next Northern Cherokee Nation Powwow and Cultural Gathering on the third weekend of September at the Northern Cherokee Nation Tribal Complex in Clinton, Missouri. 5 miles east of Clinton,Missouri on Hwy 7 on the South side of the highway. Free camping unless electricity ius needed.